Long Island, New York is home to some of the most beautiful estates anywhere in the world. The Vanderbilt Museum and Estate in Centerport, NY. The Royalton at Roslyn Country Club. The Glen Cove Mansion. The deSeversky Mansion and Conference Center at NYIT. The Bourne Mansion in Sayville, NY and, of course, Oheka Castle in Huntington. I have had the privilege of photographing weddings at all of these amazing venues but I probably have taken more wedding photographs at this property than all of the others combined. 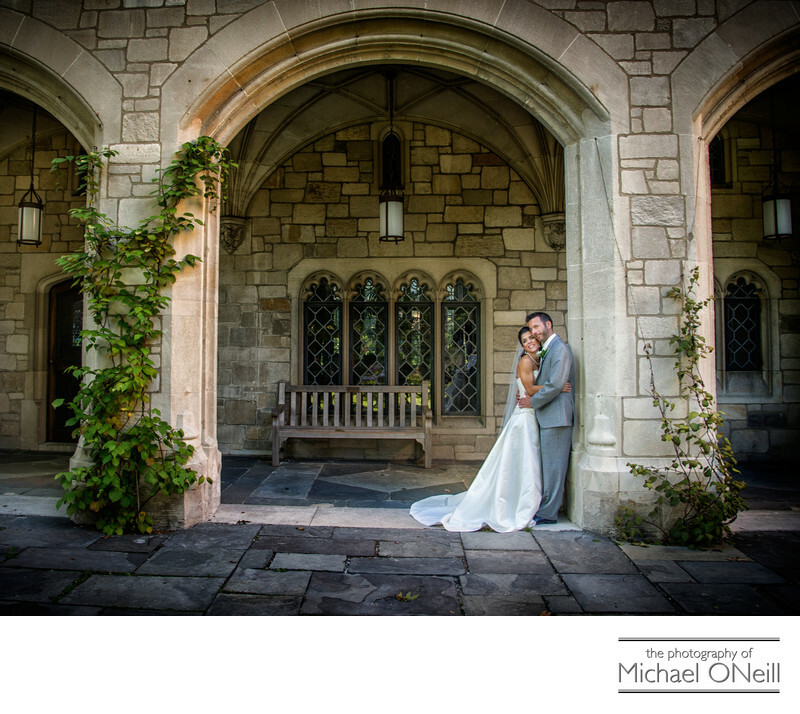 This picture of the bride and groom was taken under the arches of Coe Hall at Planting Fields Arboretum in Oyster Bay, NY. True, Planting Fields is a very popular spot for wedding photographs and, on a busy Saturday afternoon, you may see a half dozen bridal parties at this venue; but the grounds are so expansive and diverse that you may never run into another bride. I love taking wedding pictures at Planting Fields and you’ll find many other images from this location here on my web site.